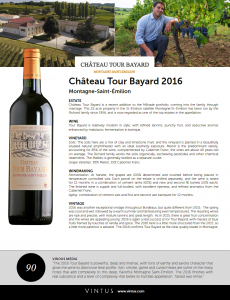 Château Tour Bayard is a recent addition to the Milhade portfolio, coming into the family through marriage. This 25 acre property in the St.-Émilion Satellite Montagne-St.-Émilion has been run by the Richard family since 1956, and is now regarded as one of the top estates in the appellation. The soils here are a mix of clay and limestone marl, and the vineyard is planted in a beautifully situated natural amphitheater with an ideal southerly exposure. Merlot is the predominant variety, accounting for 80% of the vignoble, complemented by Cabernet Franc and Malbec; the vines are about 40 years old on average. The Richard family works the soils organically, eschewing pesticides and other chemical treatments. The Malbec is generally bottled as a separate cuvée. aromatics from the Cabernet Franc. The wine is then aged in a combination of cement vats and first and second use barriques for 12 months. 2016 was another exceptional vintage throughout Bordeaux, but quite different from 2015. The spring was cool and wet, followed by a warm summer and fall featuring even temperatures. 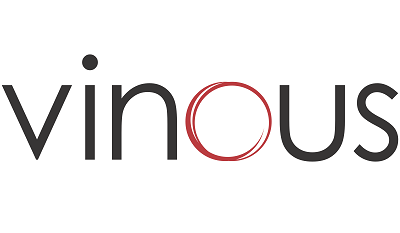 The resulting wines are ripe and precise, with mature tannins and great length. As in 2015, there is great fruit concentration and the wines are appealing young. 2016 is again a real success at for Tour Bayard, with masses of blue fruits framed by touches of vanilla and spice. The 2016 here is a little more structured than the 2015, so a little more patience is advised. The 2016 confirms Tour Bayard as the clear quality leader in Montagne. Tour Bayard is relatively modern in style, with refined tannins, punchy fruit, and seductive aromas enhanced by malolactic fermentation in barrique.